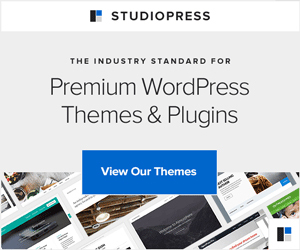 If you are using the eStore theme from Elegant Themes, you may face some issues while setting up the ‘deals of the day’ slider on homepage if you are using WooCommerce plugin for e-commerce functionality on your site. Enable the ‘Display Deals Of The Day’ option. Set ‘Number of Deals Of The Day Slides’ value to 8. 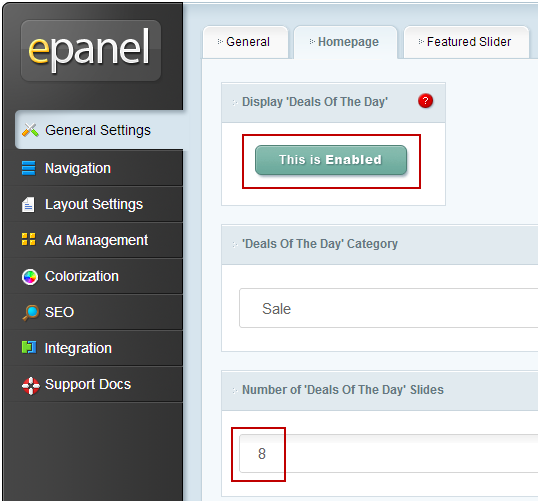 If you want to show more products in ‘deals of the day slider’, increase the number of products in multiple of 4. So you can set it to 12, 16, 20 and so on. Keep the ‘Deals Of The Day Category’ value to its default value. 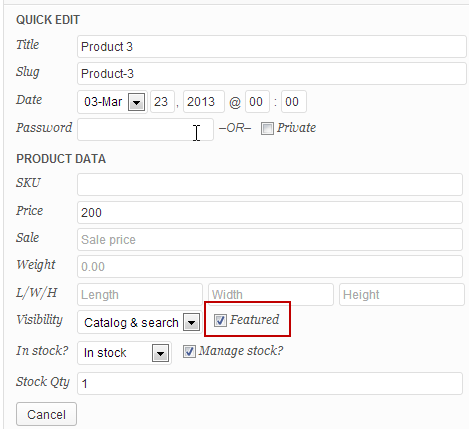 Now click on ‘Products’ tab in your WordPress dashboard to edit the products. Here you need to set 8 products as featured. Note that if you have set a higher value in ‘Number of Deals Of The Day Slides’ option, you need to set that many products as featured. Hover over it and click on ‘Quick Edit’. Check the ‘Featured’ option and click on ‘update’. 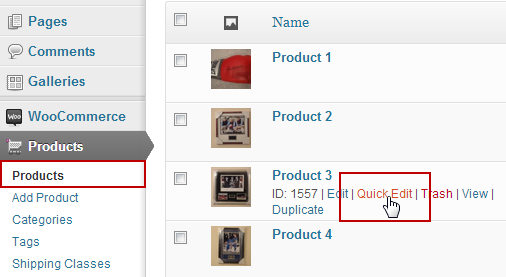 You can also bulk edit multiple products and set them as featured together. That’s it. The ‘deals of the day’ slider should work fine now.